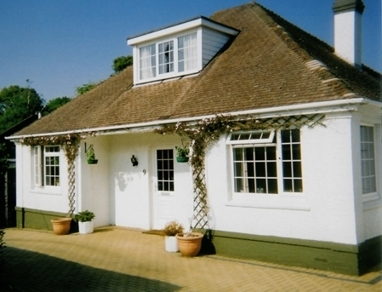 Anne and Roger welcome you to their home in Highcliffe on Sea. With only one quiet ensuite double room, you can be sure of a warm and friendly stay. The room has tv, clock-radio, and welcome tray. Parking is available. Situated in a quiet street, we are only a couple of minutes stroll to the village centre, with its shops and restaurants, and a short walk to the cliff top and beach, with stunning views to the Isle of Wight, and to the Purbeck Hills. The New Forest is a five minute drive away, as is the historic town of Christchurch. See this plan for our location in the village.